The inhabitants of Guaianazes (a city on the outskirts of São Paolo) are mainly immigrants from the north-east of Brazil, the country’s poorest region, and they often live in shacks located in the slums, known as “favelas”. Certain areas of the district suffer from shortages, and sometimes a complete absence, of public services such as hospitals, health care, schooling, housing, energy and water. The families often have severe financial difficulties, characterised by a very low buying power when their money has to be split between lots of children (there are on average 4 to 6 children per couple). There is also a high rate of adult illiteracy and of children who drop out of school. These living conditions are exacerbated by the unstoppable and ever increasing level of violence. The majority of the children supported by the centres are raised by single mothers. In order to look after their children, these women must work to earn a living. In families where both parents are present, normally only the father works and in the majority of these cases, this income alone is not enough to guarantee financial support or an adequate education for their children. Additionally, the Guaianazes district is studded with drug and alcohol addiction problems and prostitution. The ‘Padre Jorge’ kindergarten (named after its founder, Father Giorgio Gagliani) which hosts 120 children from 2 to 4-years-old (there are 100 children on the waiting list). 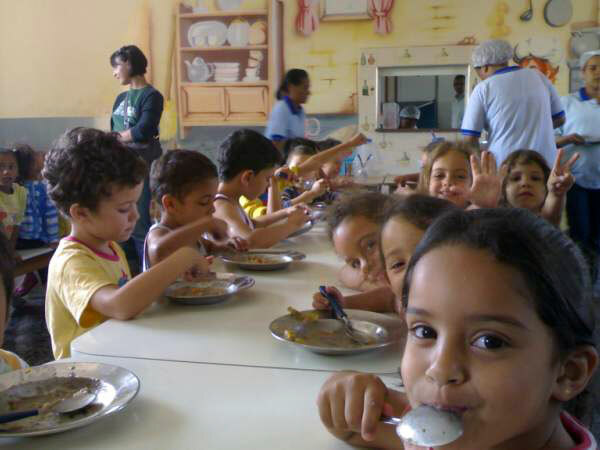 The Joilson de Jesus Community and Social Action Association is funded by agreements with São Paolo’s city council and the State of São Paolo’s government, private donations and the help given by Italian organisations (such as Modena Terzo Mondo). It has 146 staff and 116 volunteers. to create social protection, with priority being given to children and teenagers in risky situations, giving them a space for reference, participation, friendship and affection and helping them to develop before they enter the world of work. to teach the children and their relatives to be aware, creative, critical, to take responsibility and be keen to join in and take part, making them capable of contributing in the future to changing and transforming the unjust society in which they live. to guarantee their main daily meals (breakfast, lunch and tea) to prevent and treat malnutrition, with periodic health checks as well. to instil in the children the importance of education, emphasising competence in spoken and written language. to develop the children’s abilities relating to culture, music, drama, painting, dance, sports, crafts, IT, etc. to strengthen their emotional concepts of family and friendship. to develop a training programme focused on building their personality and integrating them into society, concentrating on having respect for everyone’s rights and duties. to teach the children professionalism, to then introduce them into the world of work. to provide training for the families with fortnightly meetings and home visits from teachers, and to inform them about the various programmes and social services available. to create a parents committee to jointly run the centres. to hold fortnightly information meetings for the families, dealing with topics such as domestic violence, sexuality and drug addiction. to take actions that will benefit the local population, through meetings with district councillors, neighbourhood associations and health services. to create space for the community to carry out activities which involve the local population and to allow them to participate in maintaining the centres. to donate a food basket to the most needy families each month and at the same time try to alleviate their precarious situation, by helping them to look for work or support from social services. to create a professional, capable, aware, ethical and responsible group of teachers who appreciate the value of their work. Since 2004 we have been working on the extension of the Casa dos Meninos I in the neighbourhood of Guaianazes, in São Paolo. The project involves building a new centre from scratch and will double the number of places currently available for children. Unfortunately, when work had almost finished, a strong typhoon hit Guaianazes in May 2005 and seriously damaged the building. Nowadays however the building is nearly finished, although work proceeds at a slow pace due to a lack of funds. It lacks electrical wiring, plumbing and bathroom fittings, doors and windows and inside furnishings. Now more than ever they need everyone’s help to continue the construction of the new Casa dos Meninos I.
Itaquera is a district in São Paolo with around 200,000 residents. The inner-city reality of São Paolo is sadly infamous: the unemployment rate is at horrendous levels when compared with the rate in developed countries, and the minimum wage for contracted workers is just 200 Reais (€86) per month, which is completely inadequate in covering a family’s basic needs. This state of extreme financial instability, added to the lack of opportunities to improve their socio-economic situation, has caused tragic phenomenons in São Paolo such as parents abandoning their children on the side of the road (the so-called “meninos de rua”, which means “street kids”) and very high levels of petty and serious crime which is sadly visible in the statistics, which claim that there is a violent death every 90 minutes. Besides that, the problems relating to the huge urban drift that São Paolo has undergone are well known and have caused a lot of unauthorised construction, forming “favelas”. In these circumstances it becomes hugely important that there is commitment to the protection, education and guardianship of minors, and to ensure this the Fé e Alegria Social Centre was created in 1966 in the parish of Santa Ana. Modena Terzo Mondo has supported the development of the centre and its activities for around 8 years. It must be remembered that our collaboration came about from the commitment and awareness campaign organised by Father José Antonio da Silva, the ex-director of the centre, who has now been replaced efficiently by Father Manoel Olavo Amarante. The centre consists of a kindergarten hosting around 200 children between the age of 3 months and 5 years, and it has a parish room used for educational meetings with the children’s families, a sports hall which is used by the whole community and by the “Casa da Fraternidade”, which is a welcome centre for 24 disabled children. In the Fé e Alegria Social Centre the children are hosted for 8 hours a day and are given 3 meals a day (something which is rarely possible at home) and they use the safe areas to play and receive an education which is provided by specialised teaching staff. Essentially, the kindergarten carries out welfare and educational events which encourage the children’s progress: in a social context which is sadly characterised by various deficiencies, the kindergarten represents a stable and safe space and a reference point. One of the kindergarten’s main aims, among others, is to encourage the children’s families to learn how to deal with problems such as: emotional instability at home, obstacles in the child-parent relationship, causes of marital separation, alcoholism, drug addiction, violence towards children and prostitution. To achieve this, therefore, the kindergarten is trying to create a collaborative support network with the families. The kindergarten’s more specific activities are: teaching support, nutrition, constant hygiene and health checks and recreation and leisure activities such as music and dance. to contribute to the children’s development, ensuring that their physical, psychological and social needs are met. to appreciate, respect and explore each child’s individuality and potential. to encourage the children’s relationships with themselves, their friends, adults around them and their social context. to give the children a sense of responsibility. to help the children understand the main principles in their relationships and face up to their social reality and family situations. to encourage hobbies that are helpful for the children’s emotional balance and stability. to guarantee a balanced and nutritious diet. The activities carried out in the “house” revolve around sport and education for disabled people. The service the house provides is very important and necessary for poor families who are unable to maintain themselves and their disabled relative at the same time. to develop and perfect the disabled people’s potential, in order to minimise the difficulties they have integrating into society. to develop and instil the concept of individual awareness in people suffering from Down’s Syndrome, strengthening their independence, their value as a social being, their sense of belonging and participation and improving their ability to interact in society. to improve the living conditions for poor people who do not have access to specific support services to help with their disabilities. to involve these people in recreational activities such as drama, music, sports and crafts. Modena Terzo Mondo has been supporting the Fé e Alegria Social Centre since 1996, and since then each year around 20 volunteers from Modena have gone to experience the reality and to actively contribute. Over these years Modena Terzo Mondo, with its financial input and the volunteers it provides, has taken part in the growth of the centre and in the improvements in the service that it offers to children. In 2004, as well as other achievements, they managed to completely restructure the crèche, which is for children aged between 3 months and 1 year. 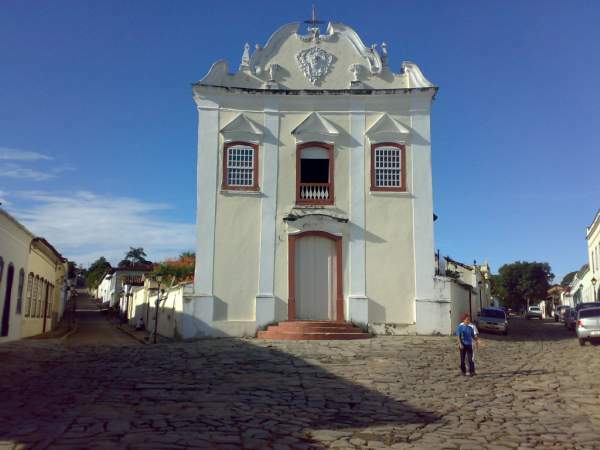 During 2005 the Casa da Fraternidade was completely restructured with a big financial effort. We are currently raising funds to extend the centre, creating new rooms for the children.